With Readly you can read All About History Book Of History Year by Year and thousands of other magazines on your tablet and smartphone. Get access to all with just one subscription. New releases and back issues – all included. 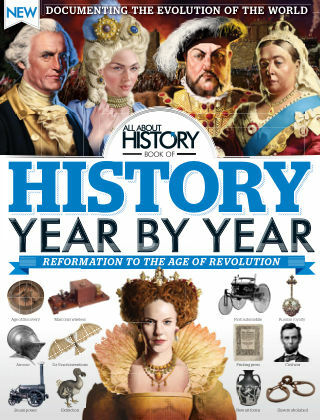 From the Reformation to the age of Revolution, volume two of History Year by Year gives you an in-depth insight into the events that shaped the world. From the end of the Medieval period to the exploration of the New World and the rise of the British Empire, this is a fascinating read for all history enthusiasts. Featuring: The Age of Exploration - How European colonisers established themselves globally. The Renaissance- Scholars in Florence sparked a cultural revolution with renewed understanding of classical art. Enduring Empires - Stretching across continents, empires blazed a trail of conquest and expansion. Discoveries & Inventions - See how astounding discoveries and inventions changed the world forever.